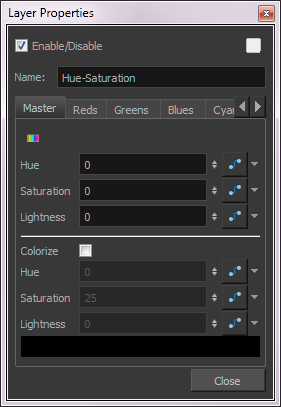 The Hue-Saturation effect lets you adjust the hue, saturation and lightness values individually or by using the HLS picker or Hue Range picker. You can achieve effects over the entire image, such as a sepia tone. Changes you make to the values are additive to the final image. 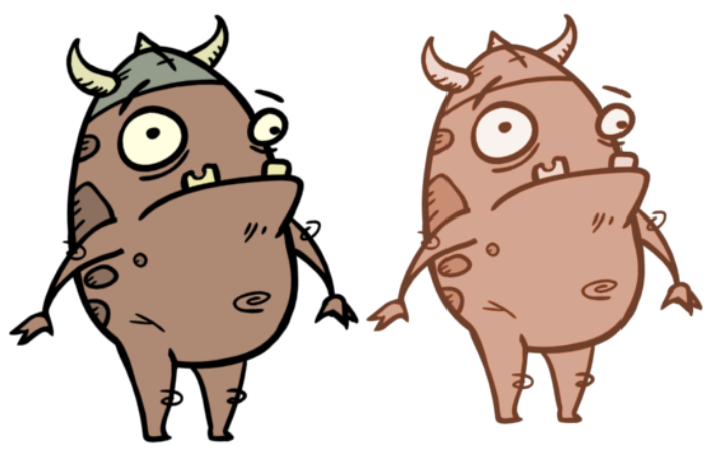 Allows you to remap all the colours at the same time using the Hue, Saturation and Lightness fields. Note: When using the Master parameters, the Colorize parameters are disabled. Opens the Hue Range Picker which displays the original colour spectrum of the image in the top bar and the new colour spectrum in the bottom bar. The Saturation and Lightness in the upper bar can range from -100 to 100, allowing you to decrease the original values. 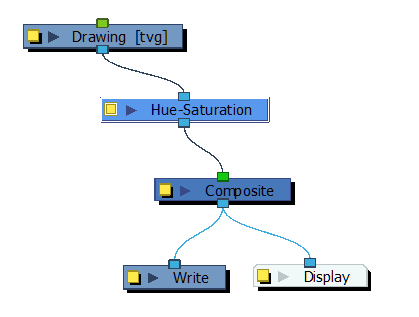 Lets you set the hue, saturation, and lightness by entering values or by using the HSL Picker. In the Colorize mode, Lightness can range from -100 to 100. 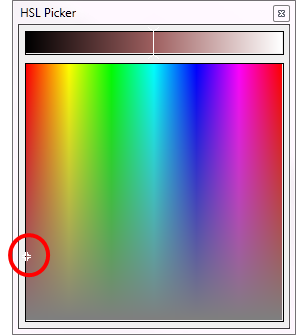 Select a colour by moving the colour picker. Note: When using the Colourize parameters, the Master parameters and other colour tabs are disabled. Hue The colour or hue of the image. Saturation The amount of colour in the image. Lightness The brightness of the image. Colour Swatch Opens the HLS Picker where you can specify the colour. Opens the Hue Range Picker. The top bar displays the colour spectrum with arrows for defining the colour range more precisely. The triangles indicate the falloff of the effect, which you can also adjust. Specify the hue as an angle from 0° to 360° that corresponds to a location on the color wheel. Specify saturation and lightness (B) as percentages (0 to 100). 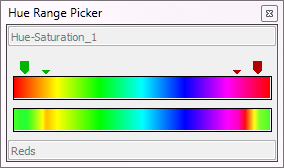 Resets only the range of hue values over which the effect is applied, i.e. the arrows and triangles. The HSL adjustments are maintained.